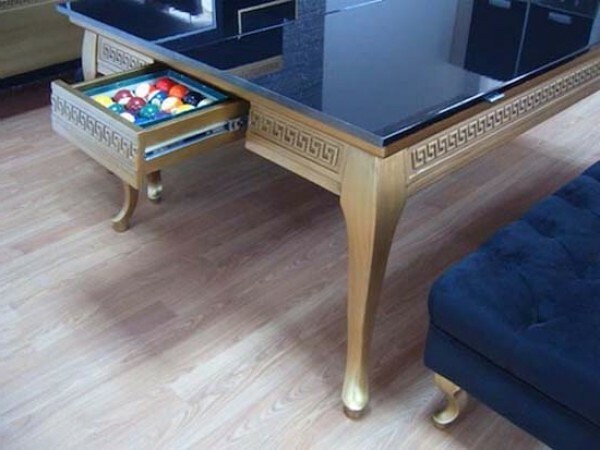 If you are looking for luxury items to add to your home, this beautiful table is the right choice. 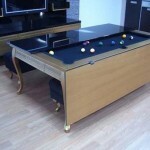 This luxurious table than can be used for dining table, this table can also be a billiard table, simply by sliding the top of this table. On the inside table of Koralturk will add tremendous sophistication to the space allotted. 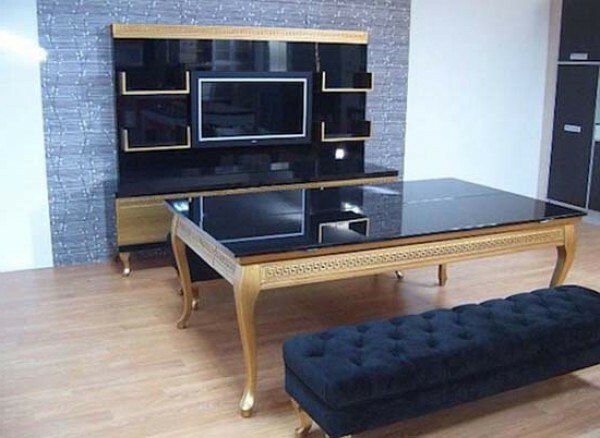 The structure is constructed from premium MDF and covered with gold leaf so it looks incredible. 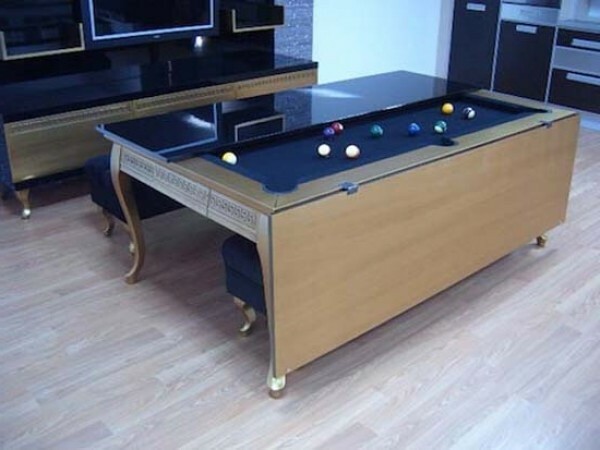 The Turkish furniture manufacturers create a beautiful combination between dining table and billiard table to maintain the lavish lifestyle that must be equipped with sophisticated and unique furnishings. Displays the balance system can be adjusted to ensure an accurate game.